Team Joseph T. Bell, Jr.
Joe is a partner with BFJ Financial Group. He has more than 40 years of experience in tax, accounting, and advising businesses. Joe has worked with business owners and individuals to deal with the tax and business complexities they face every day. Prior to forming the BFJ Financial Group, Joe spent 20 years as a practicing CPA and corporate executive. Joe is a certified public accountant and a CERTIFIED FINANCIAL PLANNER™ professional. He is a member of the American Institute of Certified Public Accountants and the Maryland Association of Public Accountants . Joe has also performed peer reviews of CPA firms and served as an expert witness in tax and accounting matters. 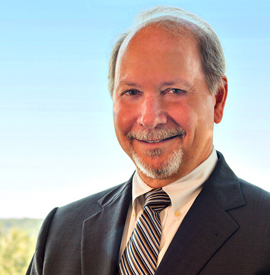 Joe is active with MedStar Montgomery Medical Center and is currently the chairman of the board of directors. Joe and his wife have lived in Rockville, Maryland since 1978 where they raised their three children. He is the proud grandfather of five grandchildren. In his free time, Joe enjoys golfing, reading and going to the beach.